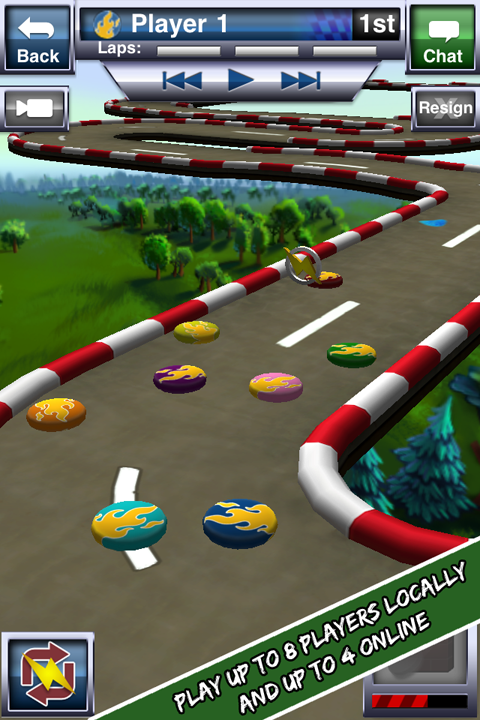 Disc Drivin’ is fun, social, turn-based racing! 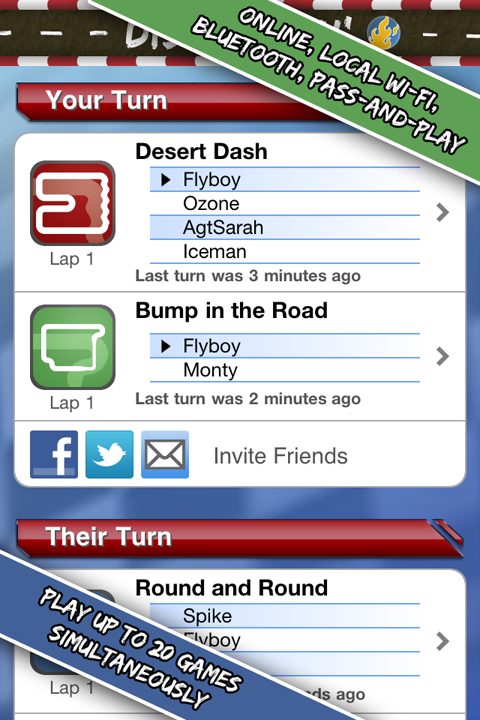 Race against your friends at your own pace with the swipe of your finger. 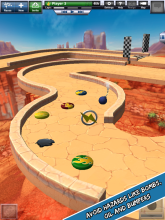 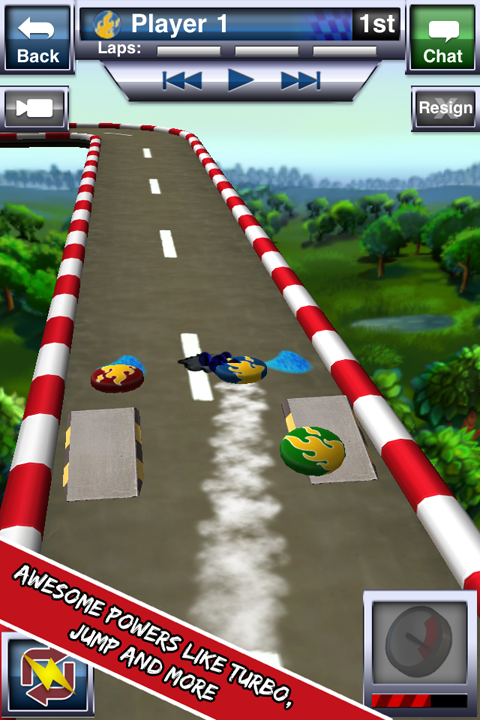 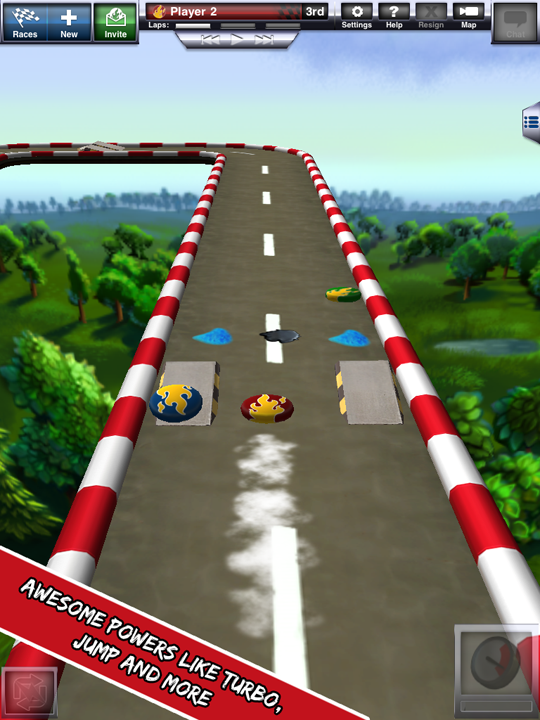 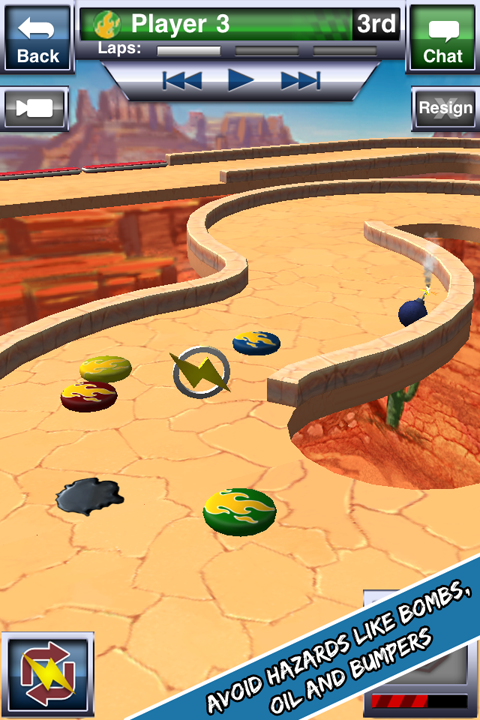 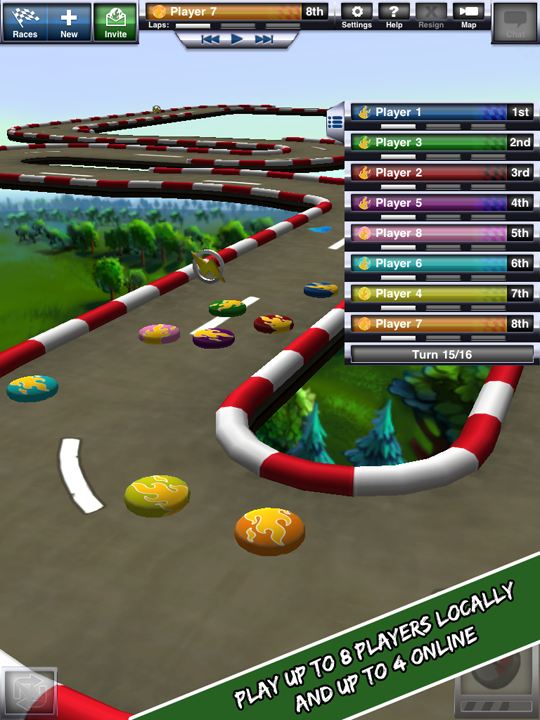 Use awesome powers and avoid hazards on beautiful tracks with full 3D physics! For support issues, please e-mail us. 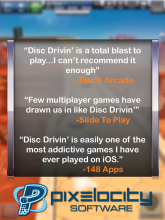 "I can't recommend Disc Drivin' enough." 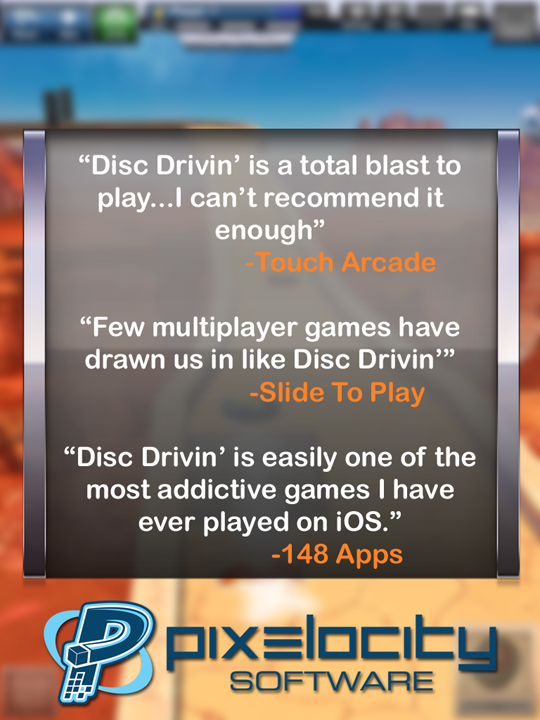 "Disc Drivin' is a total blast to play... 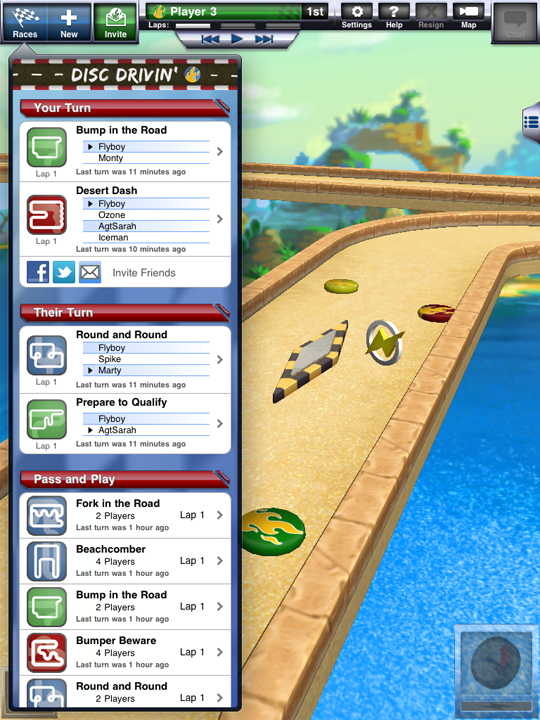 The gameplay is just so satisfying, and the turn-based nature fits into a busy lifestyle"
"Disc Drivin’ is easily one of the most addictive games I have ever played on iOS." 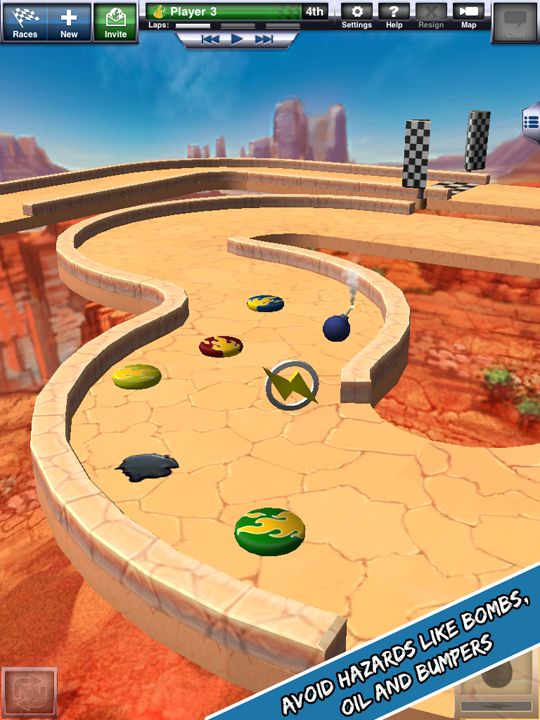 "If you’re an iPad owner and haven’t played the game yet, then you must play this now." 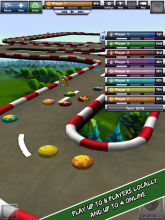 "Few multiplayer games have drawn us in like Disc Drivin’... 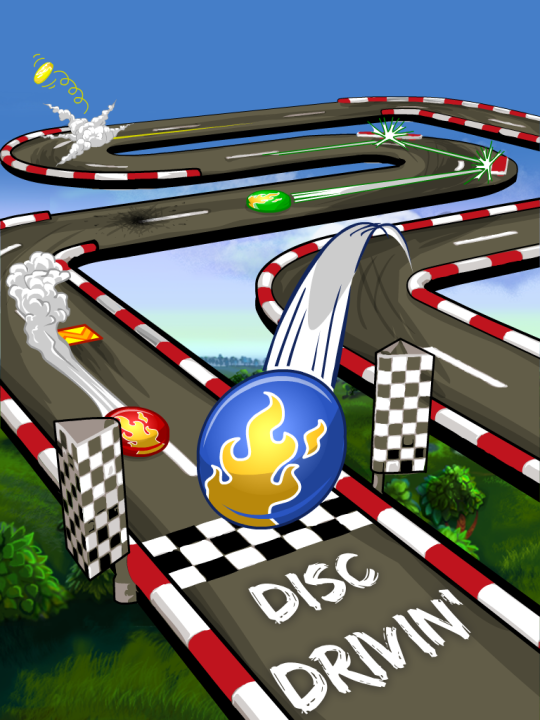 Pick up Disc Drivin’, tell your friends to do the same, and start your finger-flicking engines." 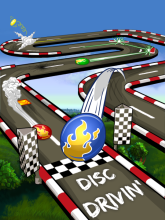 "Disc Drivin’ HD is even more amazing than iPhone version"
"If you haven't heard of this game, all that will change this year." 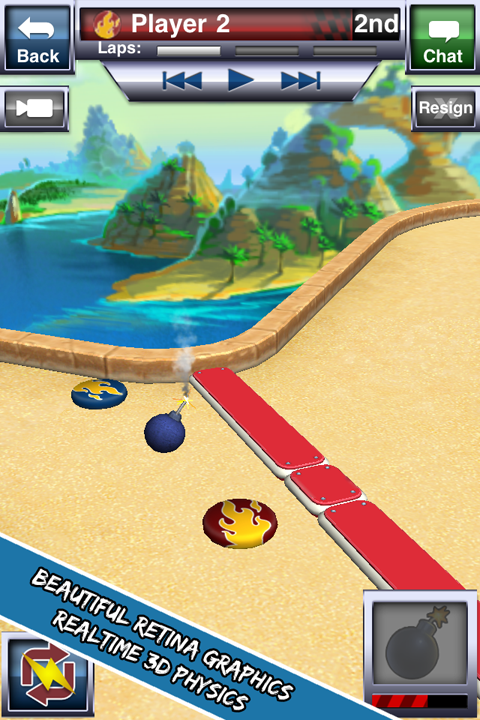 "One of the more entertaining social games to hit the App Store as of late."